Zenith Bank Plc Nigeria is one of the most popular Nigerian Commercial Banks, which got founded by (JIM OVIA) in 1990 and has developed into a bigger financial institution with various customers. The bank has offered its customers several services and created several technological methods to make banking convenient for all. With Zenith Bank Internet Banking, customers have access to the bank’s services 24/7 and simple access to your account for the swift transaction on a daily basis. Before you begin the registration on Zenith Bank Online Banking platform, you will have to visit any of the closest bank branches to ask for a Token and PIN. After filling the application form, you will be given a Token, an Access code, Username, and Password that will aid your logging into the internet banking platform. Payment of N1,500 Naira is required for the token at the bank though. 2. Login with the Access code, Username, and Password you received from the bank branch where an application form was filled. When the first login is done, you will now be able to change the password to your preferred one and now login with the Access code, Username, and your New Password. 3. Also, you can decide on your favorite way of login, whether via your Account number, Token + PIN or via your Account number + Password. To login via your account number and token code, you will need to tick the token login checkbox. 4. As soon as you login successfully, navigation becomes easy around the website and you can view the several sections of the internet banking platform. 5. Your account is now completely registered. You can begin to transact and send cash to both local banks and foreign accounts. However, transferring funds can be done as many times as you want on a daily basis but the daily limit becomes effective after N2 Million naira. Note: There are zero charges when you use internet banking unless it is an online fund transfer. Zenith Bank to Zenith Bank money transfer will attract no charge. Local Money Transfer (LMT) will attract a small fee charge. Transferring from a Zenith bank to other banks will involve an NEFT or Inter-switch fee charges. 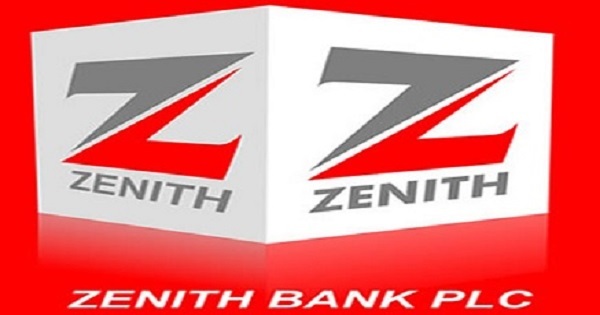 Zenith Bank is one of the most well-known banks in the country launched a mobile banking app to boost the banking experience of its customers. There are lots of things that can be done with the app. The Zenith Bank app is 2 in 1. It is a mobile banking app and also a mWallet app. Unlike the bank’s mobile USSD code, Zenith Mobile app needs internet access to function. So you have to own a smartphone running on Android or iOS to make use of it. It is straightforward to use, quicker and safer compared to the USSD code platform. Head to your mobile operating system app store to download it for your smartphone. For Android, download Here, and for iOS, download Here. 1. Open Zenith Bank Mobile App. 2. Click Register New Device. 3. Type in your Nuban Account Number. 4. Choose if you want to enter as an internet banking or non-internet banking user. 5. Study the Terms and Condition carefully and click I Agree if you accept. 6. Non-internet banking users will receive OTP on their alerts no. Input it in the space meant for it. 7. Set up and confirm the login password. 8. Create & confirm mobile authentication PIN. This will be used to wrap up all your transactions. 9. Click Continue to wrap up registration. 10. You will be redirected back to the login page. 11. Log in using your account number and password. The daily transfer limit for internet banking users is 3,000,000 Naira to another Zenith Bank account and 1,000,000 to another Nigerian bank. Non-internet banking users have a daily limit of 100,000 Naira. There you have it – comprehensive info on how to go about using Zenith bank Internet service, as well as how to use Zenith bank mobile apps. If you have any questions, feel free to leave them in the comment section below.